Wisconsin Governor Scott Walker (R) faced challenger Terry Evers (D) in a tight race on Tuesday. The results of the election could come down to 47,000 uncounted ballots in Milwaukee County, the Associated Press reported. As ballots were counted throughout the night, the lead continually flipped. Currently, with 94 percent of precincts reporting, Evers is in the lead. If the final tally is within less than one percentage point, the loser can request a recount. If it's more than one point a recount will not take place. Some remain skeptical about whether or not Walker with come within the threshold to request a recount. The state's Lt. Gov., Rebecca Kleefisch, told voters to prepare for a recount that could be long and drawn out. Walker's team is prepared for a fight. The AP reports that Evers led Walker among voters under 45 in the race for governor. Voters ages 45 and older were split. 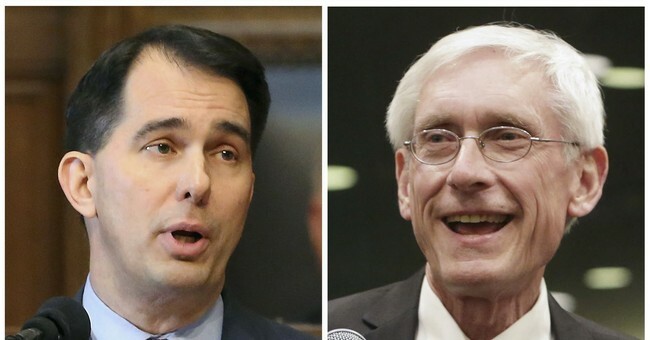 According to the AP, voters without a college degree were divided over Evers and Walker. By comparison, college graduates were more likely to support Evers. While the results are unfortunate, Walker warned Republicans about being in danger and the possibility of a "Blue Wave" taking place in Wisconsin.